After the opening and success of the company’s debut camp in Selous Game Reserve, there was an amazing opportunity to become Tanzania’s first company to offer both a superlative bush and beach experience. In 1992, Ras Kutani was opened with 30 cottages. Even though Selous Safari Company was founded in 1988, the site of Ras Kutani began three years before in 1985. 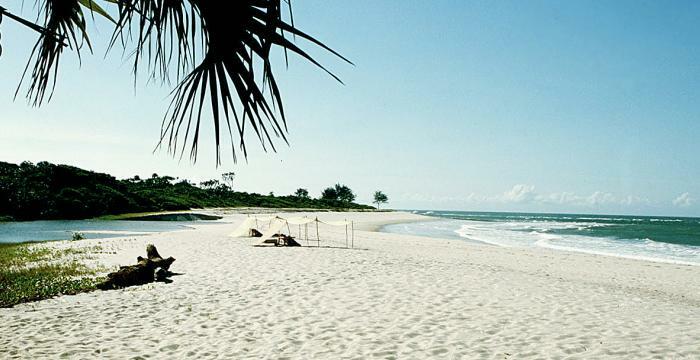 Charles Dobie, director of the company, initially leased land to the north of the fresh water lagoon, which is now the camp’s private airstrip because he wanted to try his hand at coconut farming but also because it was a site of exceeding beauty – the rare coastal forest and endless pristine beaches with such proximity to Dar es Salaam. 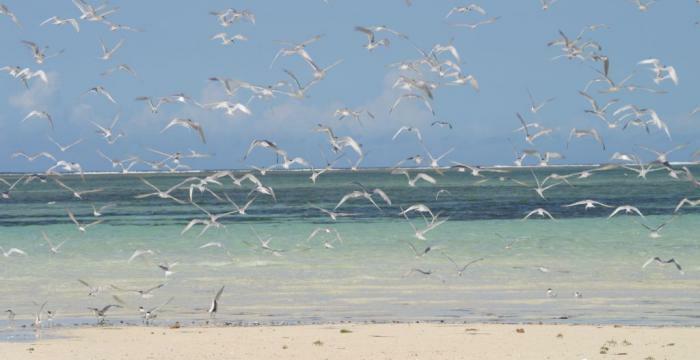 Back then there was no other accommodation on the south coast; there was only one ferry across the estuary and from Kigamboni, then a small village, it was a deserted sand track down to Ras Kutani. After the opening and success of the company’s debut camp in Selous Game Reserve, there was an amazing opportunity to become Tanzania’s first company to offer both a superlative bush and beach experience. 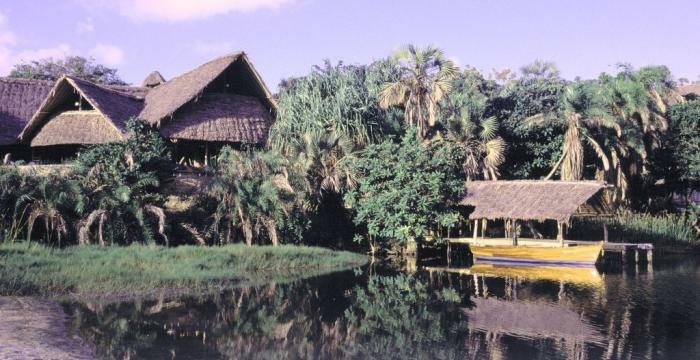 So in 1989 the company began the process of leasing the southern side of the lagoon so the camp could straddle this stunning feature and by 1990 building began. 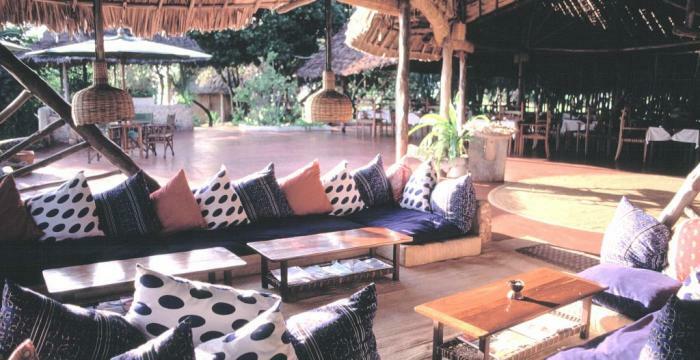 In 1992, Ras Kutani was opened with 30 cottages and a new airstrip. To compliment the combined experience, the company’s aviation arm, began a scheduled flight from Selous to Ras Kutani to make travelling between camps easier. 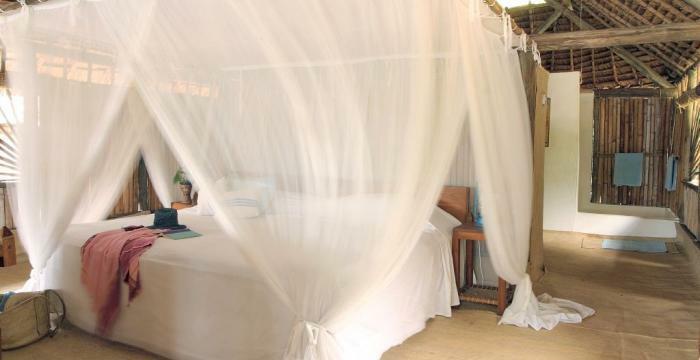 Under the first management of Marcus, the camp was an instant success offering not only international guests a blissful beach retreat but also creating a haven for Dar residents to travel to for the weekend. At the beginning all water sports were offered by the camp from windsurfing and dhow trips to fishing, but the majority of guests simply came to relax; so the larger activities were phased out and Ras Kutani really took shape as the ideal tranquil destination to escape to.